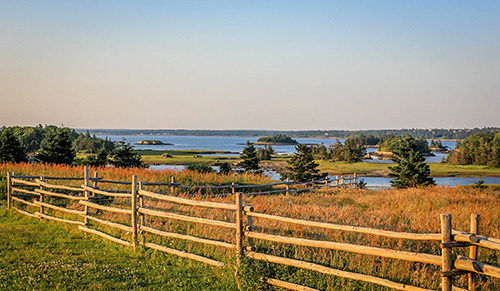 Visit the historic acadian Village of Nova Scotia and you will be instantly enchanted by the magnificent coastal scenery. Stroll down to our historical homes to savour the taste of our freshly baked molasses cookies and discover a rich culture. 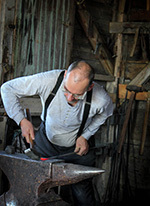 Learn the ways of a blacksmith when you stop in to our blacksmith shop. Discover how the Acadians thrived as a fishing community in the early 1900s in and continue to do so today. From Yarmouth: follow Hwy 103 to exit 31. Follow Route 335 south for 10.3km, turn left on School Street then on to Old Church Road. Driving time: 30 minutes. From Halifax: Follow 103 until exit 31. Follow Route 335 south for 10.3km, turn left on School Street then on to Old Church Road. Driving time: 3 hours. Free visitor and motorcoach parking available. Bilingual Services French and English speaking staff available. Accessible Several buildings are wheelchair accessible. Walking paths through village are gravel. Assistance may be required. 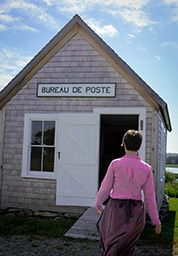 Food Services Small café serving traditional Acadian rappie pie, soups, salads, and sandwiches. Picnic tables are available to outside throughout the site.